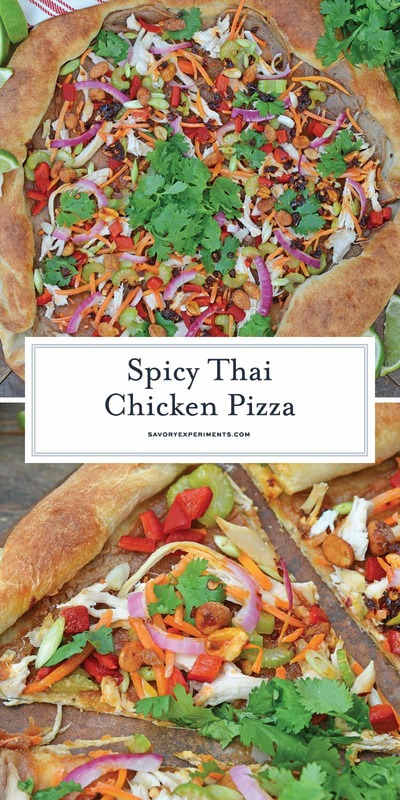 Spicy Thai Chicken Pizza | The Best Homemade Pizza Recipe! This post is sponsored by Lee Kum Kee, however all thoughts and opinions are 100% my own. 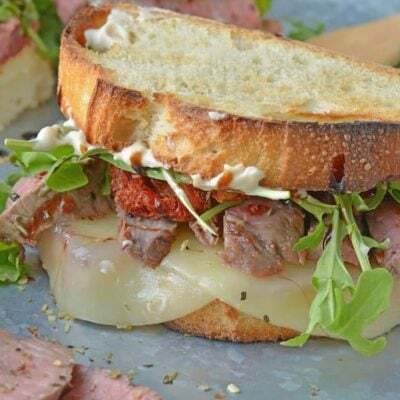 Gourmet and specialty pizza recipes are all the rage! 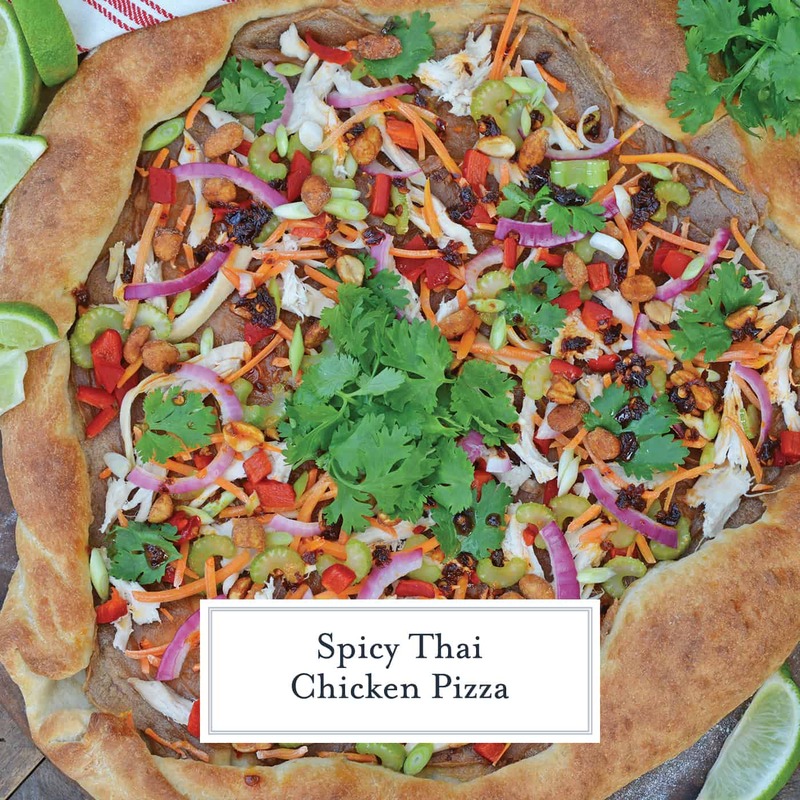 Who needs a boring pepperoni pizza when they can easily make a delicious Spicy Thai Chicken Pizza? 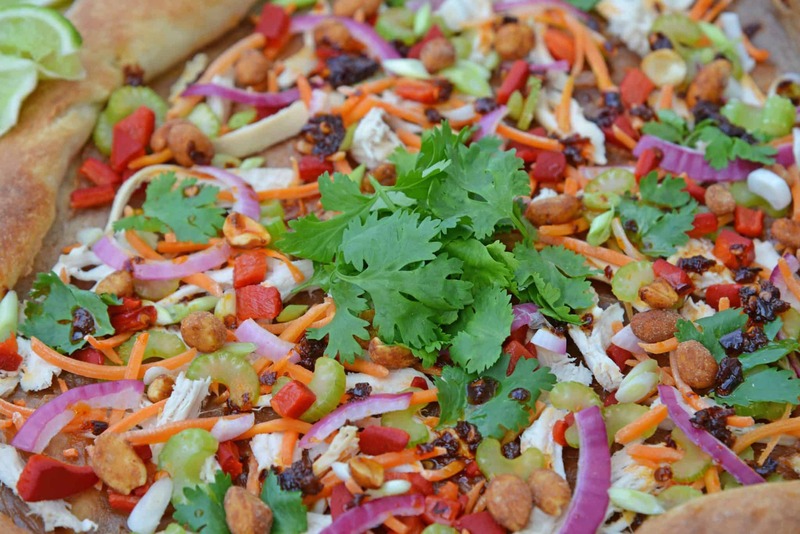 Spicy Thai Chicken Pizza uses a rich peanut satay sauce with shredded chicken, colorful vegetables and topped with sweet honey roasted peanuts and spicy chili oil. Introducing my new favorite pizza! In fact, I’m not sure any other homemade pizza recipe will ever live up to my expectations after tasting Spicy Thai Chicken Pizza. 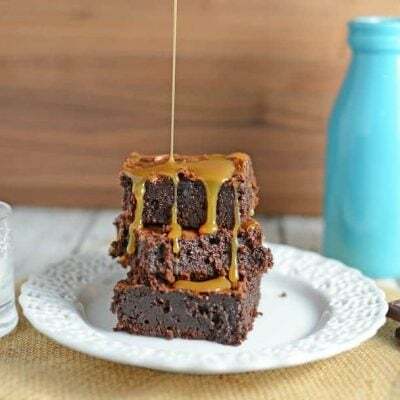 Salty, sweet and spicy, the perfect taste bud trifecta. 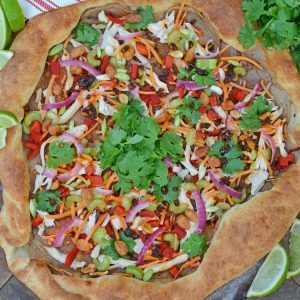 This homemade pizza recipe combines Thai peanut chicken with some of my favorite salad ingredients all piled on a pizza crust. 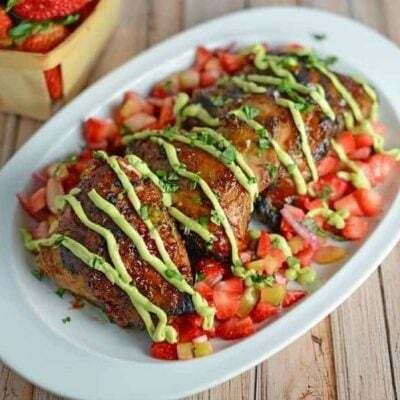 A colorful, easy and healthy pizza. 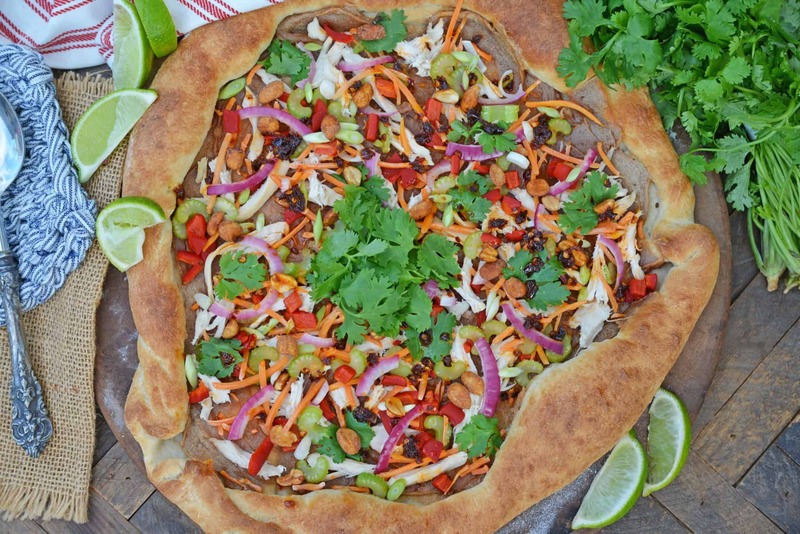 It is already a dairy free pizza, so make it a vegan pizza recipe by omitting the chicken. 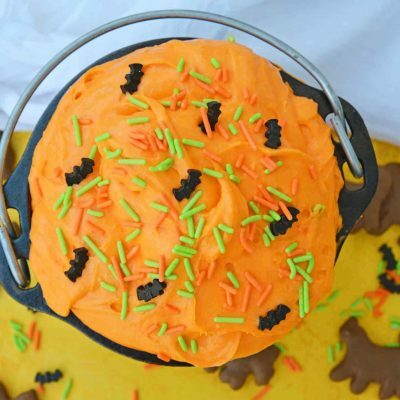 I promise, it will taste just as good! 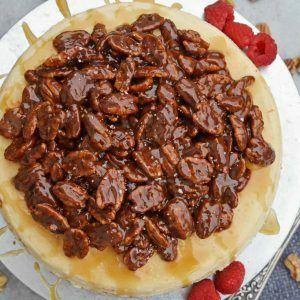 What makes this pizza recipe stand out from the rest? 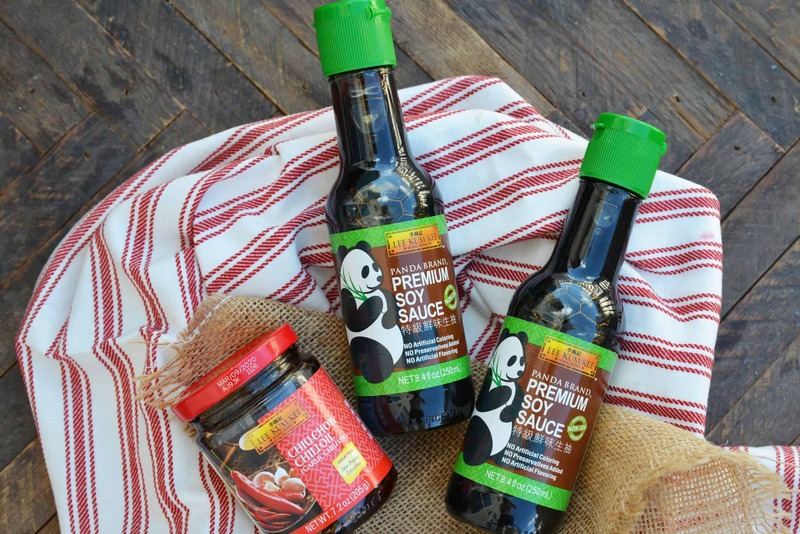 It all starts with quality ingredients: Lee Kum Kee Chiu Chili Oil and Panda Brand Premium Soy Sauce. After visiting Asian countries, I became a true soy sauce snob. Lee Kum Kee is the only brand I buy. 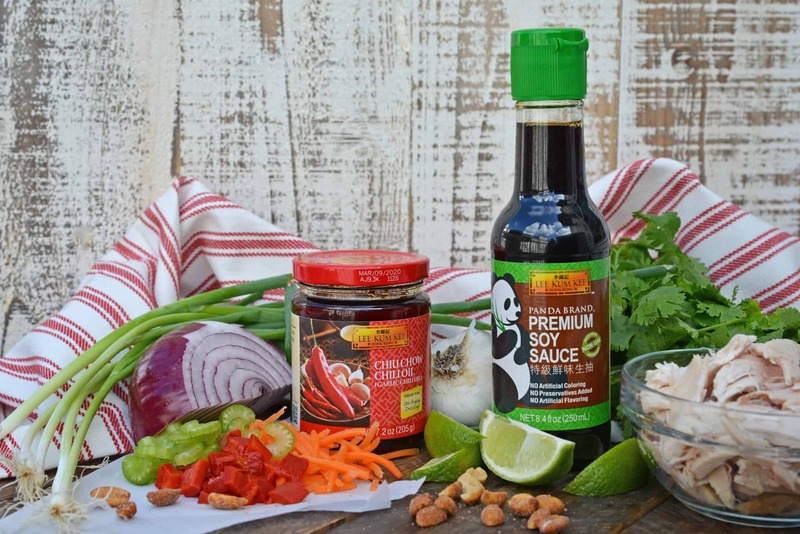 They have been the leader of authentic, restaurant-quality Asian sauces and condiments for over 100 years making it easy for the home chef to make fabulous food at home. 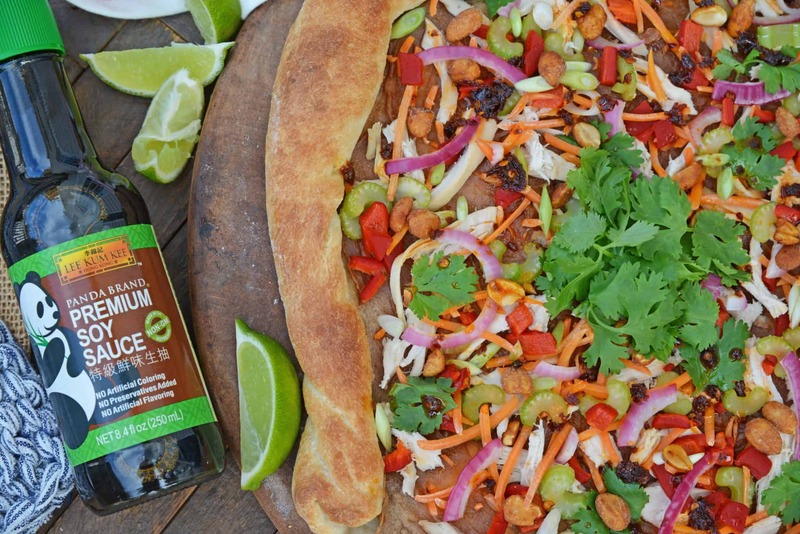 Whether you are trying a new recipe, like my Spicy Thai Chicken Pizza, or adding pizzazz to a tried-and-true recipe f your own, Lee Kum Kee is your go-to. 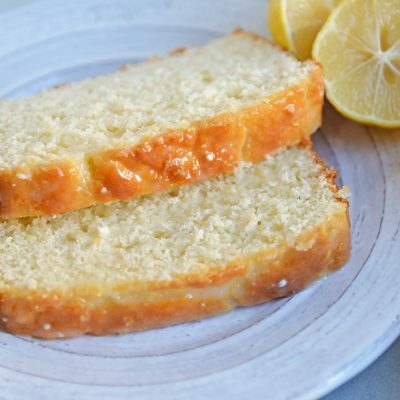 And now you can submit your recipe to the 130th anniversary recipe contest for a chance to win a cash prize! 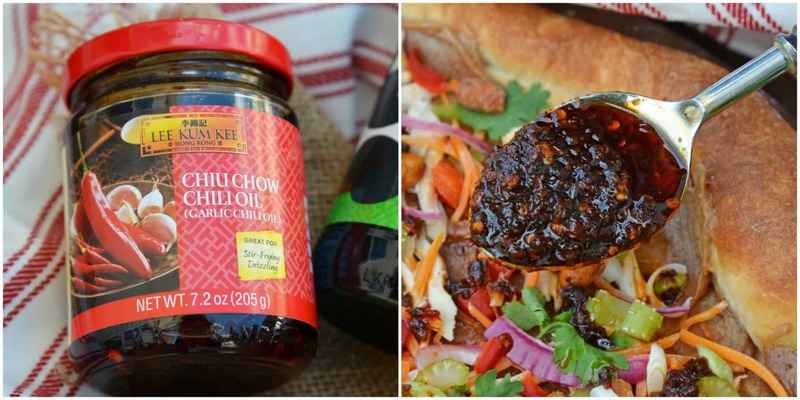 Try topping some of your favorite recipes with Lee Kum Kee Chiu Chili Oil, a chili sauce originating from Chiu Chow, China and prepared with exceptional chilies and garlic for a tasty, spicy sauce perfect for drizzling. Lee Kum Kee’s Panda Brand Premium Soy Sauce is made from premium soybeans and wheat flour. It’s naturally and traditionally brewed to give it a rich soy flavor and aroma that will delicately enhance the taste of any dish. 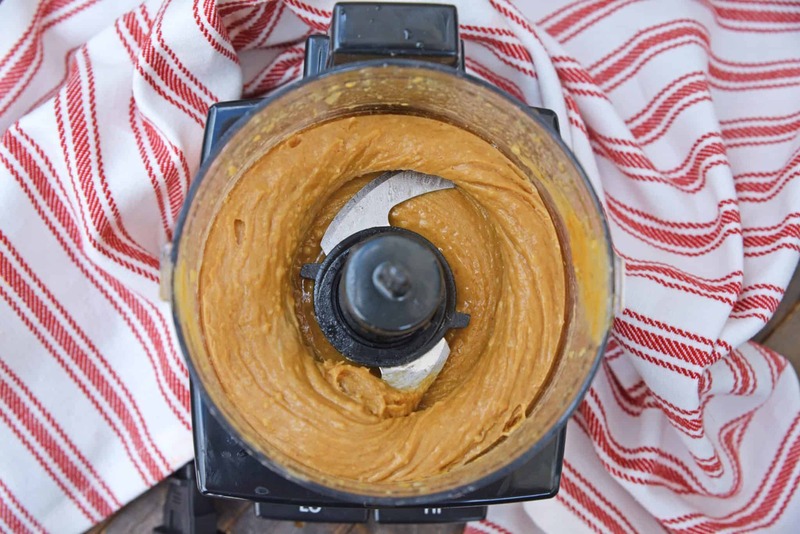 The easy peanut satay sauce comes together with a few pulses of a food processor. 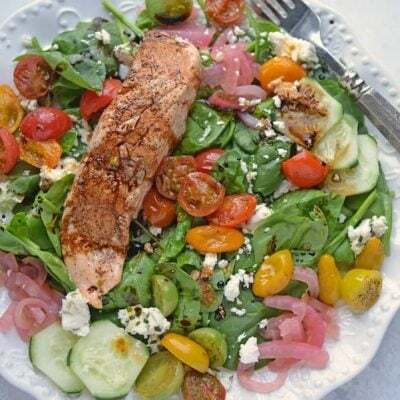 Spread it on a hearty crust and top with fresh ingredients. I like using a pizza dough and making thick rustic edges. Then I dip my extra crust in even more chili oil. I used a store-bought rotisserie chicken for convenience, so my whole meal was done and ready to eat in just 30 minutes. Easy, peasy. 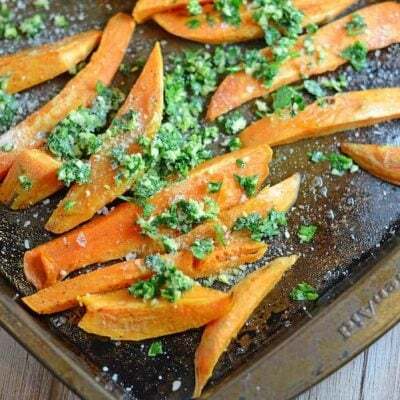 You can also easily substitute or omit any of the ingredients. If you aren’t a fan of cilantro, try using Thai basil. If using pizza dough, place on a preheated pizza stone. 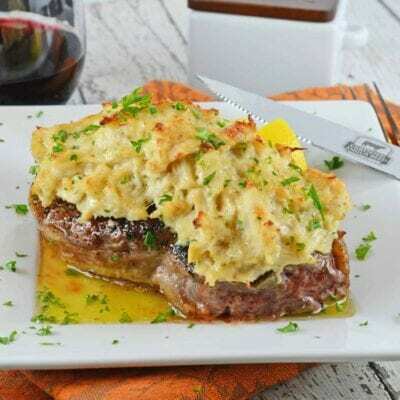 If you using a hearty premade crust, you can place directly on the rack or on a baking sheet. Place all ingredients for peanut satay sauce in a small food processor and pulse several times until it all comes together. 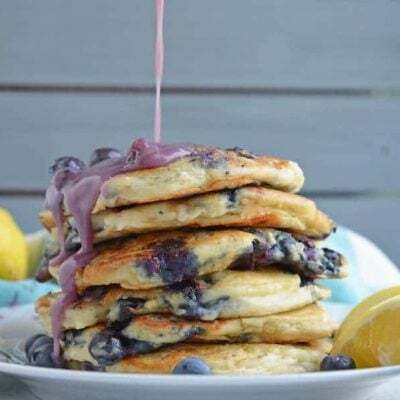 If it is super thick, add 1 tablespoon of water. Consistency should be thick enough to spread without being runny. Spread peanut satay sauce evenly over pizza crust. 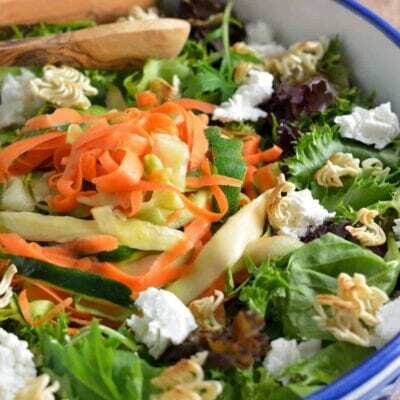 Top with shredded chicken, roasted red pepper, carrot and celery. Bake for 10 minutes, or until top is starting to brown. Remove and evenly sprinkle scallions, cilantro and honey roasted peanuts over pizza. Lastly, drizzle with Lee Kum Kee Chiu Chili Oil and spritz with fresh lime wedges. Serve and enjoy! *Either pizza dough already cooked or a premade pizza crust. 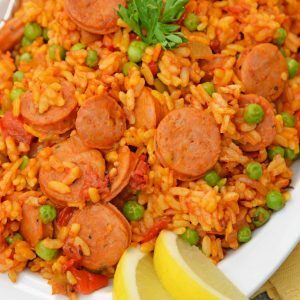 For more recipes using Lee Kum Kee ingredients, check out their website. 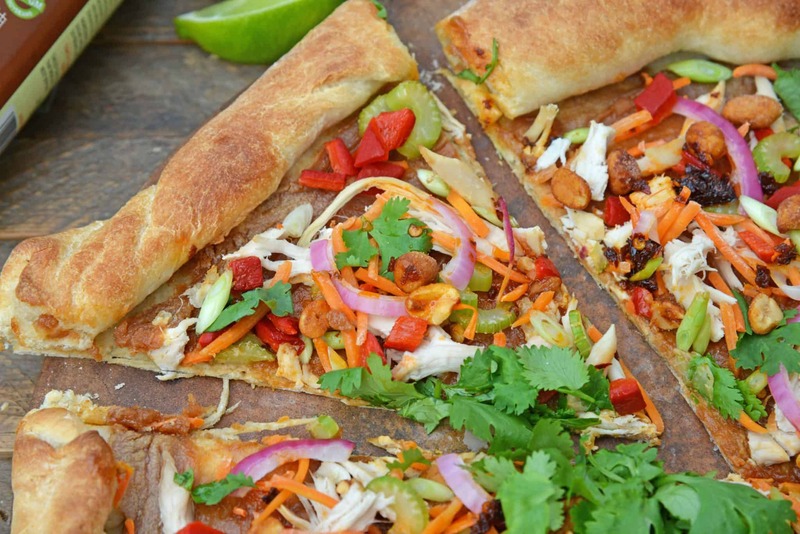 Those Thai flavors and spice is perfect for a pizza! I can’t wait to try this!!! This sounds amazing. My whole family loves peanut satay. I mean seriously, my son would drink it with a straw! 🙂 I bet this pizza is bursting with flavor.